Holiday Station is a reliable companion for road travelers for almost 90 years. It serviced them with the Blue Planet gasoline and convenience store housing big brands. Located across 10 northern states, it operates along with convenience stores that provide wide-ranging items and outdoor sport merchandises (like fishing and camping equipment). Founded by the Erickson brothers in 1928, it started as a merchandising store in Wisconsin, and opened new locations until it delved into gasoline and refinery ten years later. Today, it relies on refiners and petroleum suppliers for their gas stations and McLane Company for merchandise distribution and logistics services. There are 500 Holiday Station stores across ten states in the U.S. with around 4,000 employees. It expects annual revenue of approximately $2 billion. It took the 102nd place of Forbes’ list of the largest U.S.-based private companies, and got 25th place of the largest American convenience stores. Holiday Station provides 401(k) retirement and profit-sharing plan for its employees. It also provides gas and merchandise discounts, insurance benefits, medical reimbursements, holiday bonus, and educational assistance. It is privately owned and provides job security to employees passionate about the gas and retail industry. The experience that the company imparts will be useful to all professionals at whatever stage in their career. How old do you have to be to work at Holiday Station? The company requires its workers to be at least 18 years old. This is a great company to work for at this age because they provide financial assistance to finish years in school. Sales Associate – requires skills in communication and basic math. While a big part of the time deals with customer interactions, the sales associate also handles inventory and cash. Assistant Manager – Open to experienced professionals, assistant managers are responsible for meeting daily operational and financial goals. To achieve those, ability to supervise younger personnel and make them fulfill duties based on standards is necessary. Dispatcher – requires communication, problem-solving and administrative skills. Tasks involve handling inventory, reporting, scheduling deliveries and responding to phone calls regarding delivery concerns. Knowledge of DOT regulations and Microsoft applications is also necessary. Maintenance Technician – accessible to professionals with technical training in machinery, repair and maintenance. It requires valid driver’s license, knowledge in using Microsoft applications, and on-call availability to handle repair emergencies. The company provides corporate, petroleum driver, food production and store management jobs. The employment opportunities available to entry-level applicants include cashier/customer service, food service specialist, retail support representative, subway sandwich artist and bakery route driver. Prepare your resume and cover letter when applying. Check the site for any job, which suits your qualification and location. Research about the company and the benefits they provide. Compare it with others in the same industry to determine the best career path. Holiday Station’s website has a page exclusively for jobs available. It provides a link where you can submit your application. Submitting online is more preferred. It makes your resume visible and accessible to HR personnel. Filling the application form is quick online. The information encoded should be accurate, complete and free from spelling errors. Applicants should use this form to provide the employer a good reason why they should be considered for the role. Whether you will be invited for an interview or not depends on the strength of your resume. It has to highlight career achievements over the years. Make sure it’s aligned with the job you’re applying for easy evaluation. Be certain about your professional aims and make your employer understand how your goal coincides with theirs. Know your own strengths, skills and qualifications. This will let your potential employer know how these will benefit them. With a working environment, which is friendly and positive, employees will find it easy to improve skills and grow professionally. The challenges offer them a fulfilling experience. Company benefits offer incentives to build a long-term career. 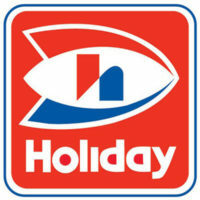 Holiday Station offers compressed natural gas (CNG) as a fuel alternative in their Lakeville location. The ingenuity of CNG by Trillium CNG and the established market and distribution channels of Holiday Station is a partnership with financial and environmental sense. It is widely known across the northern states as a reliable gas station and convenience store at whatever time of day. With various merchandise choices, customers remember this place as part of their road travel stopover. Its sustainability efforts cannot be underestimated. Through its main product, the Blue Planet gasoline (the low-sulfur fuel) the company contributes less in toxic emissions. Minnesota’s American Lung Association awarded this product as “Clean Air Choice”.